The green in this pretty Aventurine cabochon is so soft and deep, you can almost see through it. 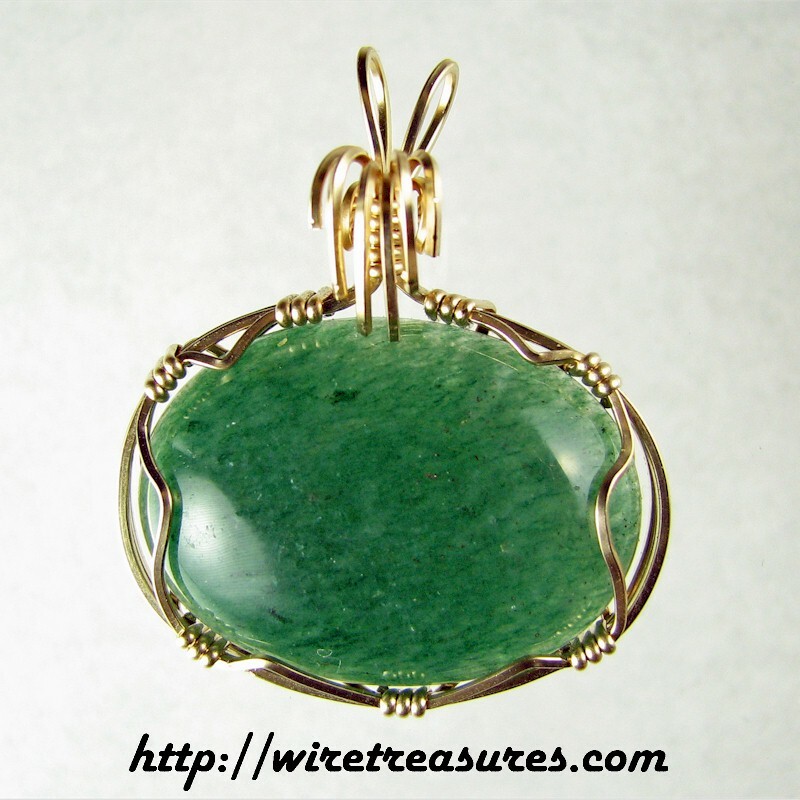 I don't tout so-called metaphysical healing properties of stones, but I can guarantee that wearing this Aventurine pendant wrapped in 14K Gold Filled wire will make you feel good! This pendant is 1-5/8 inches high and 1-1/4 inches wide.